Bring Las Vegas-Style Entertainment to your next event or party. Let Us Host Your Next Casino Party Event. Whether you are hosting a casino night for your friends or family, planning a fundraiser, charity event, or your company’s holiday party, we are there to help you make it a huge success. Add excitement to your next Corporate Employee Appreciation Day. Keep your teens engaged at Project Graduation, and Project Prom. 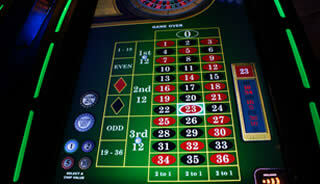 Casino Parties and More offers you and your guests many of the same popular games found at most casinos. 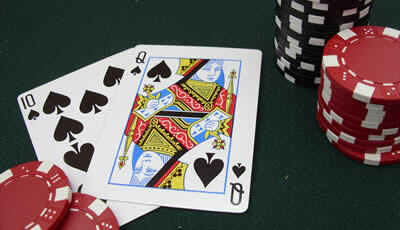 We offer Blackjack, Craps, Roulette, Texas Hold’em, Three Card Poker, Let it Ride, and Slot Machines. 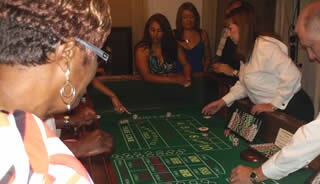 All of our dealers are trained to teach your guests the basics of each game. Have you ever considered something different for your next corporate event or fundraiser – or maybe a just-for-fun party with family and friends? Why not host a Texas Hold’em Tournament Casino Parties and More can help you organize a tournament for as little as 10 people or as large as 200 people.